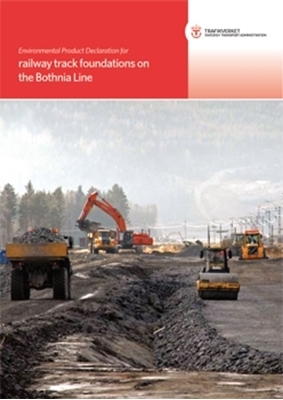 This environmental product declaration (EPD) describes, from a life-cycle perspective, the total environmental impact of track foundations on the Bothnia Line. Railway track foundations form what may be called “ordinary” railway (i. e. stretches of rail that do not run across bridges or through tunnels). The EPD covers track foundations substructure only. Track, power, signalling and telecom systems on the track foundations are not included.